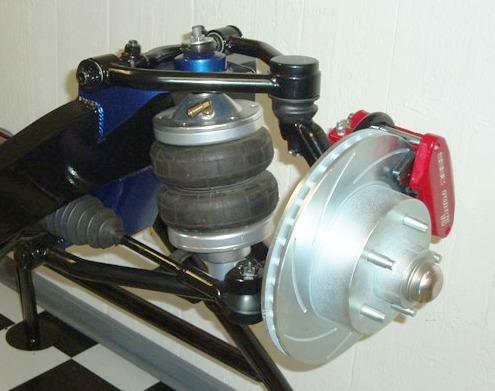 Progressive Automotive’s IFS front suspension kits for Street Rods, Hot Rods and Classic trucks are proudly manufactured with the highest quality, at our shop in Baltimore Ohio. 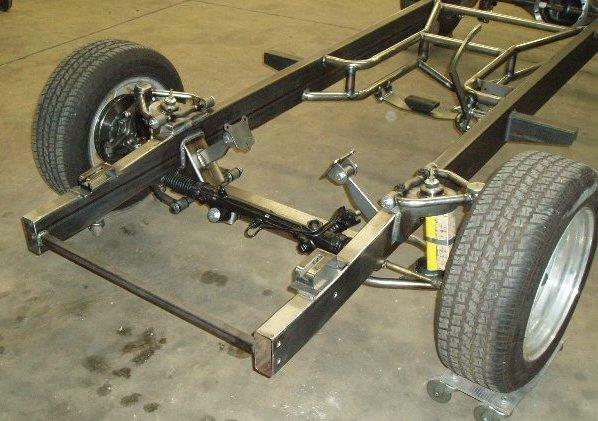 Each front suspension kit is specifically designed and pre-cut for the easiest installation for the at home builder. The IFS brackets are welded inside and out, and constructed from 3/16″ material, even the upper control arm mounts. Our lower control arm mounting tube is one piece and lower crossmember is boxed for strength & appearance. 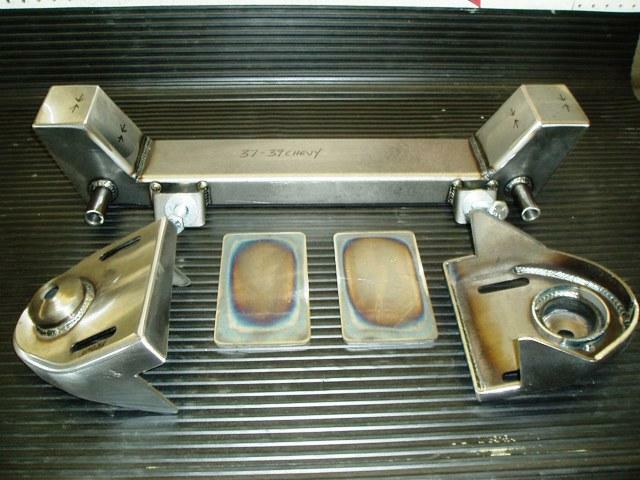 Our Standard kit is finished, with all primary welds ground to a smooth finish, ready for primer/paint or powder coating. 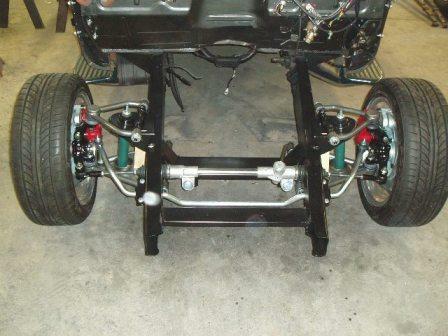 We also can custom build ride heights, non-stock frames or vehicles not listed. See the bottom of the page for some examples. Tech Sheets can be found in our Tech Info tab in the Menu bar, at the top of the page. UPS Shipping and packaging is additional Skeletal crating included for front frame section that need to be shipped by LTL freight, as noted . 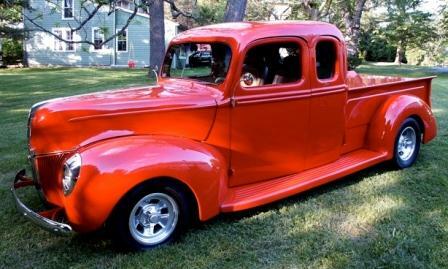 Tech Data: Fits All 1928, 1929, 1930, 1931 & 1932 Chevy cars & trucks, also 1933 trucks. Standard Spindles, Center of wheel is even with bottom of the frame. Drop Spindles, Center of wheel is 2” above the bottom of the frame. Standard Spindles, Center of wheel is 1” above the bottom of the frame. Drop Spindles, Center of wheel is 3” above the bottom of the frame. Tech Data: Fits 1934, 1935 and 1936 Chevy Standards and 1935 Chevy Master Cars. 1946, 1947 and 1948 Chevy cars. Tech Data: Fits 1949, 1950, 1951, 1952, 1953 and 1954 Chevy cars. Tech Data: Fits 1955, 1956 and 1957 Chevy cars. Tech Data: Fits 1953, 1954, 1955, 1956, 1957, 1958, 1959, 1960, 1961 & 1962 Corvettes. Standard Spindles, Center of wheel is even with the bottom of the frame. Tech Data: Fits 1934, 1935 and 1936 Chevy standard production trucks. Tech Data: Fits 1937, 1938, 1939 & 1940 Chevy & GMC trucks and Suburbans. Chevy & GMC trucks and Suburbans. Tech Data: Fits 1955, 1956, 1957, 1958 & 1959 Chevy & GMC trucks and Suburbans. Tech Data: Custom built to fit 1960, 1961, 1962, 1963, 1964, 1965 and 1966 Chevy and GMC trucks.Our IFS Tech form to be filled out. 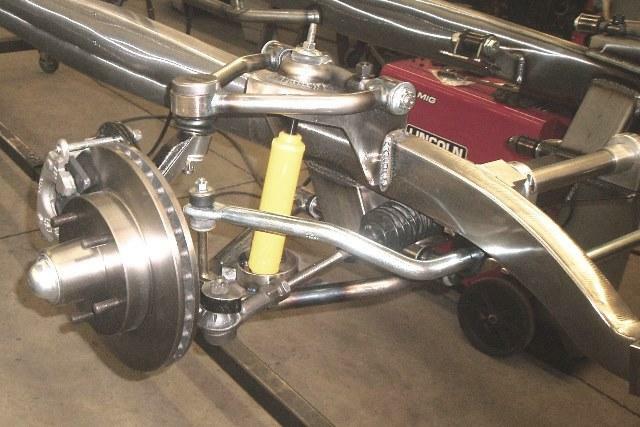 Tech Data: Custom built to fit 1967, 1968, 1969, 1970, 1971 and 1972 C10/C20 Chevy and GMC trucks. Our IFS Tech form to be filled out. Tech Data: Custom built to fit 1973, 1974, 1975, 1976, 1977, 1978, 1979, 1980, 1981, 1982, 1983, 1984, 1985, 1986 and 1987 C10/C20 Chevy and GMC trucks. Our IFS Tech form to be filled out. Tech Data: Fits 1928, 1929, 1930 & 1931 Ford cars and trucks. Standard Spindles, Center of wheel is 2” below the bottom of the frame. 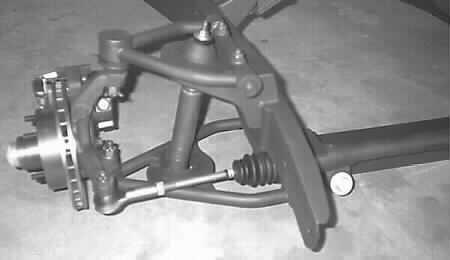 Drop Spindles, Center of wheel is even with the bottom of the frame. Tech Data: Fits 1932 & 1933 (1st Ser.) Ford trucks and all 1932 Ford cars. Standard Spindles, Center of wheel is 1” below the bottom of the frame. Drop Spindles, Center of wheel is 1” above the bottom of the frame. Tech Data: Fits 1933 & 1934 Ford cars. Tech Data: Fits 1933 (2nd Ser.) 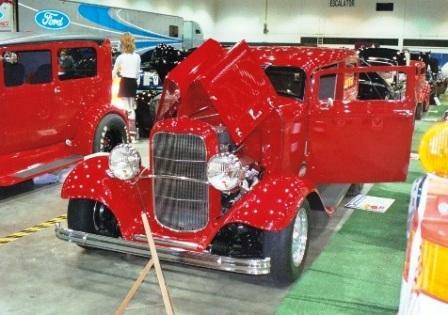 & 1934 Ford trucks. Tech Data: Fits 1935, 1936, 1937, 1938, 1939 and 1940 Ford cars. Fits 1935, 1936, 1937, 1938, 1939, 1940 and 1941 Ford trucks. 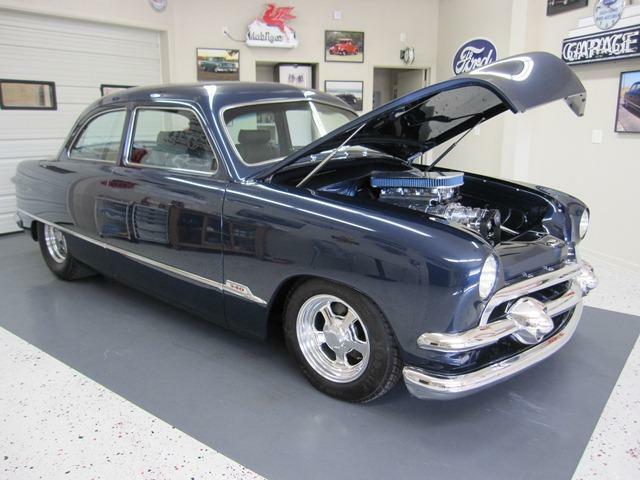 Tech Data: Fits 1941, 1942, 1943, 1944, 1945, 1946, 1947 & 1948 Ford cars. Tech Data: Fits 1949, 1950 and 1951 Ford cars. Tech Data: Fits 1955, 1957 and 1957 Ford Thunderbirds. Tech Data: Fits 1961, 1962, 1963, 1964 and 1965 Ford Falcons. Fits 1961, 1962, 1963, 1964 and 1965 Ford Ranchero. Tech Data: Fits 1942, 1943, 1944, 1945, 1946 and 1947 Ford trucks. Tech Data: Fits 1948, 1949, 1950, 1951 and 1952 Ford trucks. 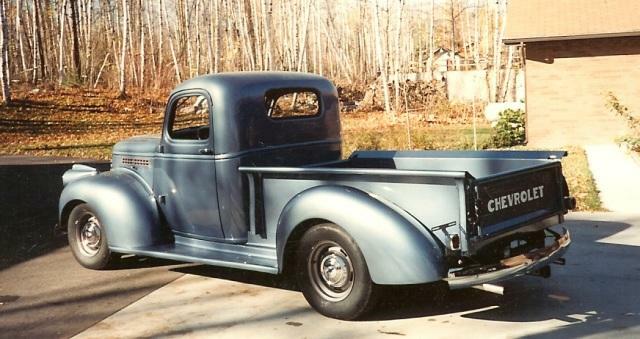 Tech Data: Fits 1953, 1954, 1955, 1956, 1957, 1958 & 1959 Ford trucks. Tech Data: Fits 1957, 1958, 1959, & 1960 Ford trucks. Tech Data: Fits 1961, 1962, 1963, 1964, 1965 & 1966 Ford trucks. Tech Data: Fits 1940 Mercury cars. Tech Data: Fits 1946, 1947 and 1948 Mercury cars. Standard Spindles, Center of wheel is .25” below the bottom of the frame. Drop Spindles, Center of wheel is 2.25” above the bottom of the frame. Tech Data: Custom built to fit your 1933 Plymouth. 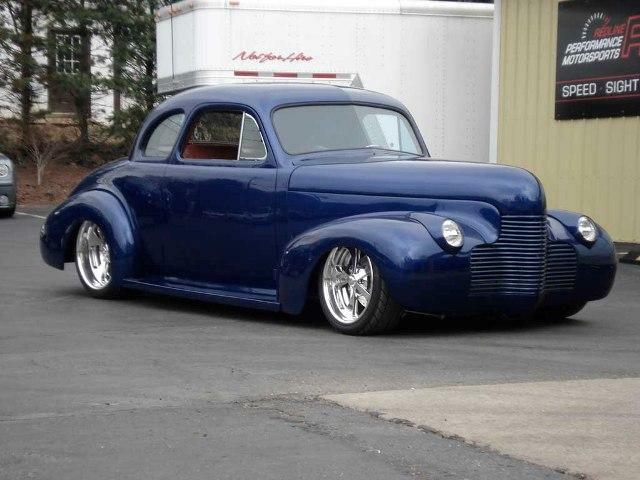 Tech Data: Custom built to fit your 1934 Plymouth. Tech Data: Fits 1934 Plymouths with Original IFS only. Standard Spindles, Center of wheel is 1.5” above the bottom of the frame. Drop Spindles, Center of wheel is 3.5” above the bottom of the frame. Tech Data: Fits 1939, 1940 and 1941 Plymouth with Original IFS only. Tech Data: Fits 1942, 1943, 1944, 1945, 1946, 1947 & 1948 Plymouth with Original IFS only. Tech Data: Custom built to fit your 1933 Pontiac. Tech Data: Custom built to fit your 1934 Pontiac. 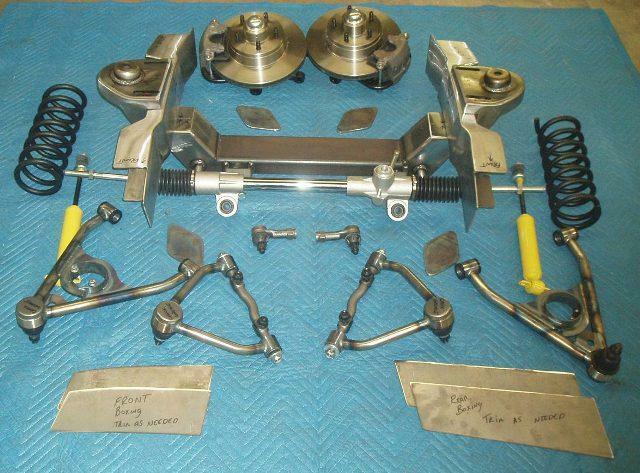 Standard Spindles, Center of wheel is .5″ above the bottom of the frame. Drop Spindles, Center of wheel is 2.5” above the bottom of the frame. Standard Spindles, Center of wheel is .25″ above the bottom of the frame. 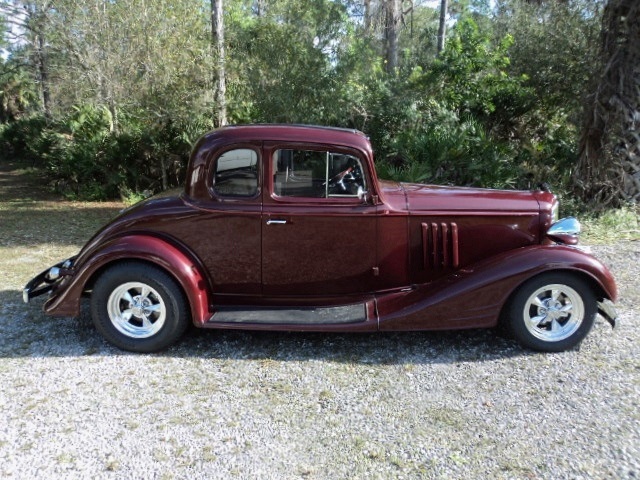 Tech Data: Fits 1937, 1938, 1939, 1940 & 1941 Willys cars & trucks. Tech Data: Fits 1948, 1949, 1950 & 1951 Willys Jeepster cars & trucks.